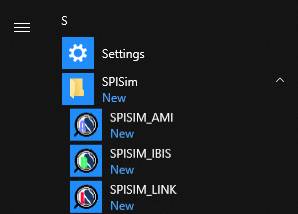 How to launch SPISim’s free web apps. 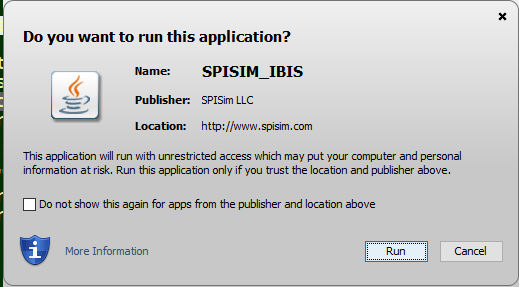 SPISim’s web apps use Oracle’s Java web start technologies. All our web apps are certified and signed. They will run in most individual and enterprise computing environment using Java version up to and include 8.0. 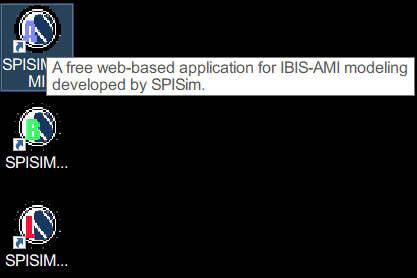 To launch SPISim’s web apps, simply click the “Launch” button on each product’s respective page. First click the “Keep” button appeared at the bottom of the page. Alternatively, navigate to the download folder and double click the .jnlp file. For Edge browser: Click the “Open” button appeared at the bottom of the page. For Firefox browser: Click the “OK” button appeared in the dialog. 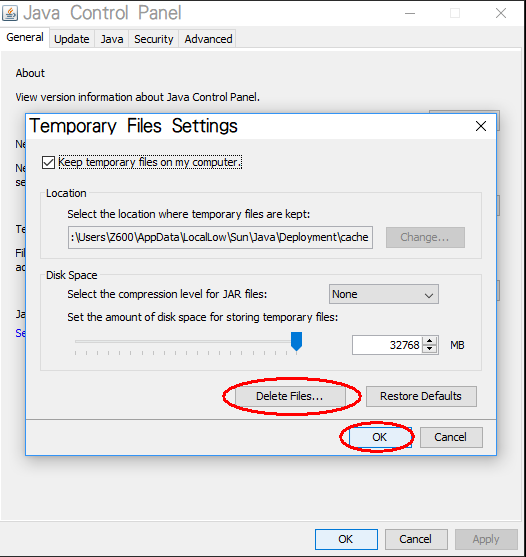 Alternatively, save then navigate to the download folder and double click the .jnlp file. 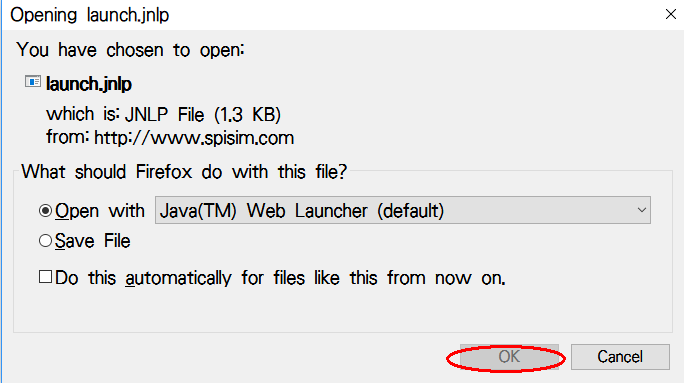 For other browsers such as Safari: Please search the solution regarding launching .jnlp file or Java’s “WebStart” technology. All our apps are virus checked and signed with Comodo issued certificate! Click “Run” button and app will launch in seconds. These apps are not installed via regular installer. They are “sandboxed” by the Java technologies. Thus to remove the desktop short-cut or start-up menu, simply right click and delete/remove will do. There is nothing to uninstall!! 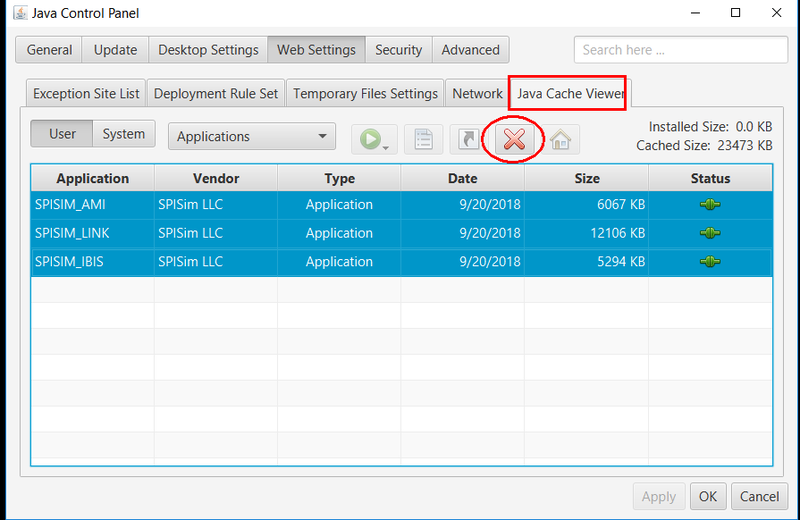 If your system does not have Java installed, they may be obtained here from Oracle. These SPISim free apps use WebStart technology which is supported up to and include Java version 8.0. 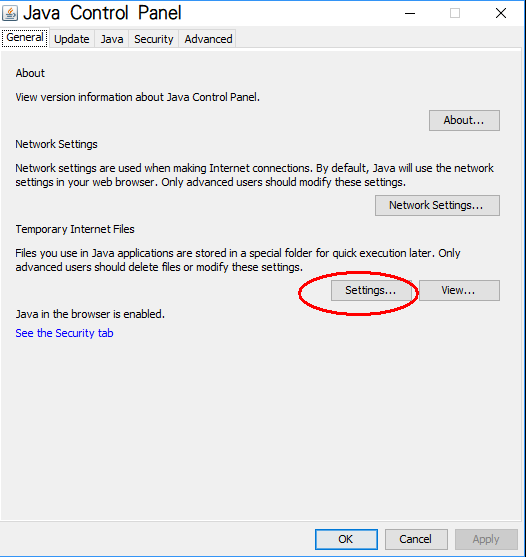 Oracle has deprecated the WebStart after Java version 9.0. If the following warning pop-up when you are trying to run these free apps, make sure the version will be used is version 8.0 or earlier. 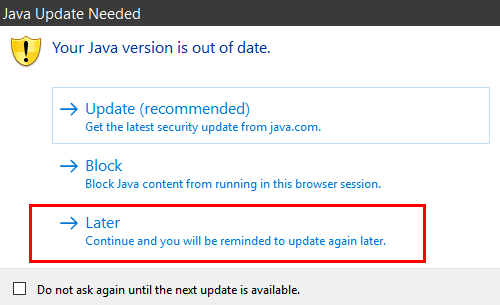 It’s best to click “Later” if you are already running supported Java version. After that, revisit the web apps product page and launch there and the apps will be brought up to date.